Successfully Added Multimedia 3.5 Inch SATA Hard Disk Player - AV IN + Card Reader to your Shopping Cart. Made in China Multi Media SATA Hard Disk Drive Enclosure that can schedule TV recordings and fully supports SD, MMC, and CF Cards. 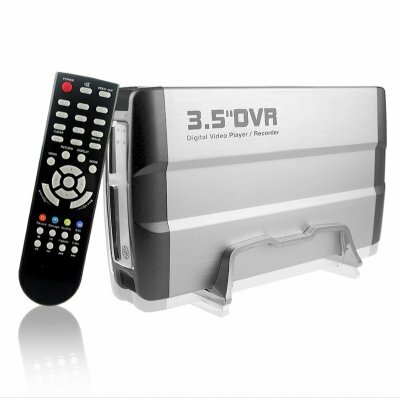 It has high quality video recording, and with the One-Touch video record, you can change the various record image parameters to attain a superior result. Finally, this Chinavasion Wholesale HDD has a movie playback function, meaning you can turn off the system, but return to the same point of the movie you were watching later.